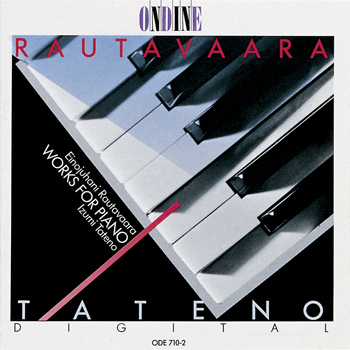 Izumi Tateno, who has lived in Finland for nearly 25 years, is strongly associated with this music and plays every note and phrase with solid conviction. The rendition by Japanese pianist Izumi Tateno is of a rare perfection. This CD contains piano works by Finnish composer Einojuhani Rautavaara, performed by Izumi Tateno - the dedicatee of the First Piano Sonata.